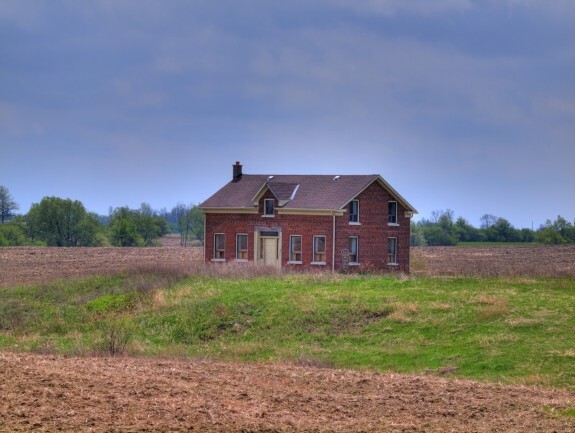 This is an abandoned house on King Road just slightly west of The Gore Road in Caledon, Ontario just outside of Bolton. 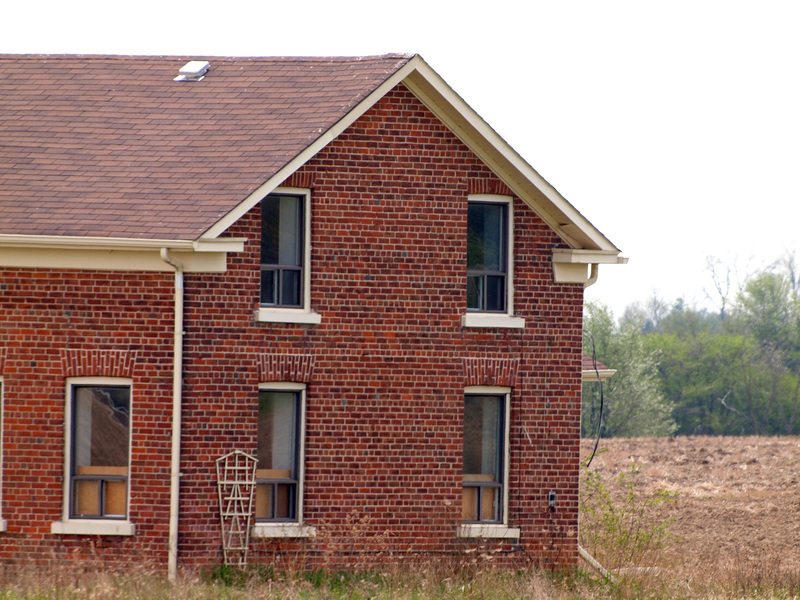 This isn't your typical abandoned house, the condition of the place is very good (from the outside at least), the brick work is nice the roof stillin good condition, windows still there although the bottoms of them are boarded to try to prevent intruders. I can't find out much info about this house, so if anyone knows please drop me a line, the address is 7403 and it has been abandoned at least 2 years if not longer. Photos were taken earlier in the year with my zoom lens, click on the pictures for larger photos. This was the Rutledge home through many years of the 80’s and 90’s. They sold, and it remained empty although a few random renters we watched occupy it very briefly from time to time. There was also a barn closer to the road which they torn down, may have burned it controlled by Caledon Fire Dept. My husband lived down the road from it for over 30 yrs at 6569 King Rd, and was very good friends with the family that lived in it. I went to school with a few of the children, as it was a large family. Robin Rutledge married a guy named John Avery, they may be in Brampton or Orangeville I am guessing. A good source would be Bill Whitbread as he is a friend of mine that still does the Days of Yore in the Caledon Enterprise. I looked at the house when it was for rent about 12-13 years ago. At that time the Real Estate salesman told me that the property was owned by a developer. When I toured the house, the inside needed quite a bit of work – peeling wallpaper, dingy carpets, missing cupboard doors and facing on a couple of drawers in the kitchen as well as missing tiles (linoleum?) on the floor. The counter tops were hacked up as well. I remember it clearly because they wanted $1300./mo rent which was very high at that time and I was expecting something in much better shape. The potential was there but it had been severely neglected at that point. It’s just not worth much anymore, so nobody’s interested in it. The Gore seems to be an unpopular place right now, with a lot of For Sale signs up all down the road from King to Mayfield. It’s not on the Gore Jack, it’s on King just E of Macville. A developer (Solamar?) just waiting on the subdivision that was promised and then snatched away in favor of you know who’s friend! Developer holding it hostage… almost a horror story in itself. What a shame. A house, a home for a family to thrive in, to be filled with life, now waiting for its demise not by the wild animals that find shelter in it, but by a more deadly parasite – the developer. 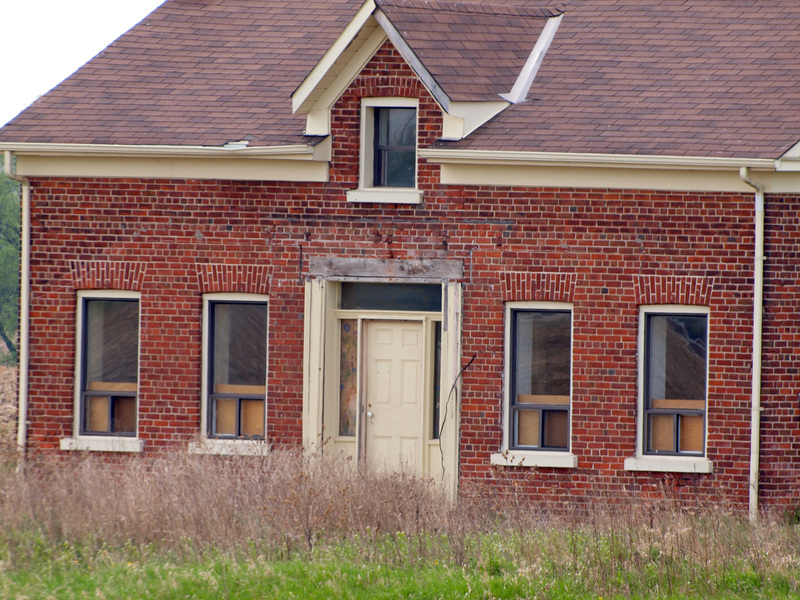 I reside in Caledon and drive into Bolton daily along King Rd and have commented on this house numerous times. I even see people there taking pictures. 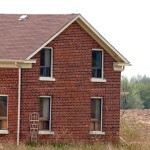 It is sad to see that this home was abandoned and maybe a sad story as well for the family that may have lived there. If you find out any information on it, I would be interested in knowing. Oh, I just read a little history on the property from the comments posted. Sad to hear it will remain this way.